Hello again friends! It's been a while. I kinda forgot I had a blog. I figured it was time to review two audiobooks I listened to ages ago. 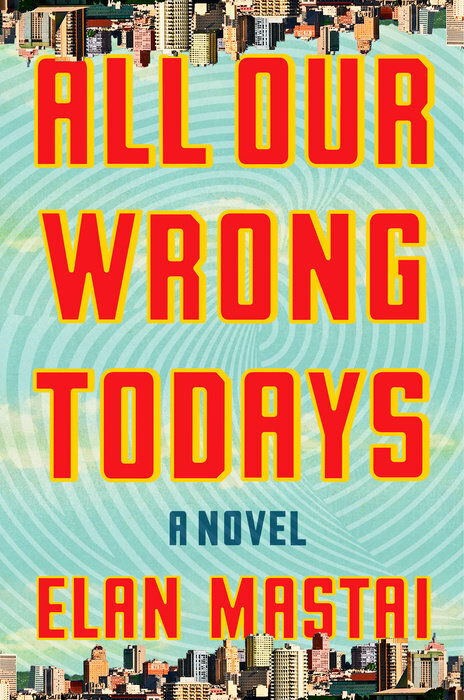 All Our Wrong Todays by Elan Mastai. This one had an interesting premise, but in the end fell flat for me. Tom Barren lives in the present that we should have had. Because of the discovery of a machine that produces infinite free energy, Tom's world is one free of worry. Every "futuristic" item has been invented. Flying cars? Yep, they got them. Since people have a lot of time on their hands, they have the ability to invent whatever they can dream up. Including time travel. Tom's dad decides that humans should travel back in time to witness the most important scientific event in history: the day the free energy machine was first turned on. If you think this is a terrible idea, then congrats, you are smarter than this genius. I can't believe no one pointed out what an awful, no good idea this is. So much could go wrong, and guess what? It does. Tom messes up royally and is trapped in our present time, with our pollution and linear decent into the destruction of the whole planet. Things are bleak, but he is determined to turn things around get things back to the future...I mean present. Whatever. First, Tom got on my nerves. He's so emo. He pretty much ruins the world because he is sad. Also, I can't believe the thing that made him sad is a thing that happened. So, thanks, Tom. I could have had a robot maid but now I have to scrub my own bathroom because you had a moment. Me. Sad that I have no robot maid. Second, the women, though the author tries to make them interesting, are still tropes: emotionless career woman, dream girl who owns a bookstore. They are all there so that Tom can have feelings about things. Finally, there is a bunch of stuff that happens near the end that I found confusing and was not my jam. It's seems like it would be more impressive visually. Mastai is a screenwriter so that makes sense to me. All Our Wrong Todays wasn't fun for me, but it could be fun for you. The audio narration is by the author. Lincoln in the Bardo by George Saunders. There's a lot of hype around this one, and it deserves it. I wasn't going to read it because I was all, Lincoln? Is it going to be political? But no it wasn't. It was very weird but good. Though I think my weird tolerance is high after The Master and Margarita. President Lincoln's eleven year old son, Willie, has died. He's just been laid to rest, but his soul is trapped here on earth. He's not alone. Many spirits are with him in the cemetery. All believe that they will someday return to the lives they were living before their deaths. 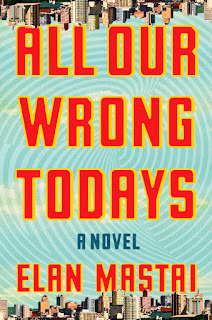 Will Willie linger in the bardo with these people unwilling to let go of the past? Or move onto the next part of his journey? The audio production of Lincoln in the Bardo was excellent. There is a cast of 166 characters. Granted most of those read small sections of text from historical documents (some an invention of the author), but there are some big names voicing the spirit characters: Nick Offerman, David Sedaris, Don Cheadle, Megan Mullally to name a few. It's quite a production. 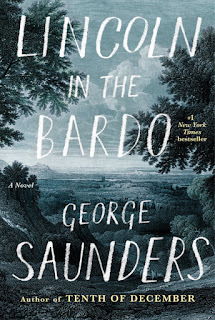 Lincoln in the Bardo is about regrets, lost opportunities, and how sometimes life is unfair. It is somber but at times very funny. Life, and death apparently, are filled with the absurd. I don't think I can say anymore about Lincoln in the Bardo that hasn't been said already and by better reviewers. It is so good. You should read it, and if possible, listen to the audio. My thanks to Penguin Random House Audio for the review copies via Volumes. All opinions are my own. I've been doing a lot of other things: knitting, cross stitching, working, chauffeuring the kid around, watching Jane the Virgin. Even reading. But no blogging. 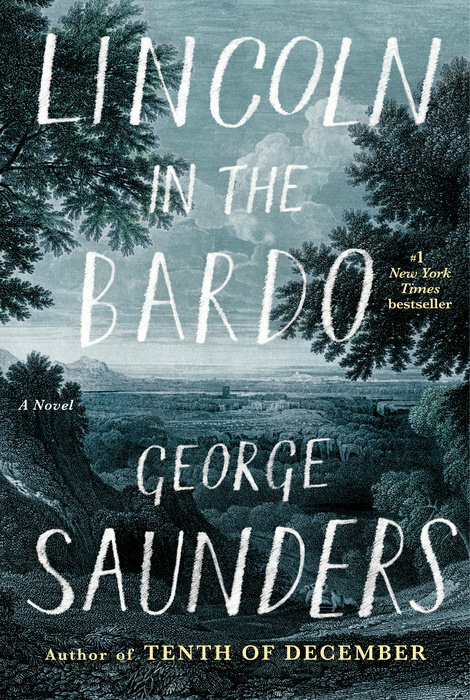 I have listened to Lincoln in the Bardo by George Saunders. What an experience! I recommend the audiobook version. There are 166 narrators. It's very well done. I'll be back on the blog with a review of that one I promise. I also listened to All Our Wrong Todays and did not feel the same enthusiasm. I had some issues with it- issues involving the female characters. Right now, I'm reading What Is Not Yours Is Not Yours by Helen Oyeyemi. It's good, but takes some time to get into. Not a very exciting update, but it's all I got. I hope you're all reading good stuff!